Nikon has announced a new rugged camera, the COOLPIX AW120. The new compact is waterproof down to 59 feet, freezeproof to 14 degrees in Fahrenheit, and shockproof to 6.6 feet. The AW120 sports a 16MP CMOS sensor, a wide-angle 5x optical zoom lens with 10x Dynamic Fine zoom, full HD 1080p video recording, continuous shooting up to 6.9 fps, and built-in Wi-Fi and GPS. The camera will be available for sale starting March at $349.95. MELVILLE, NY – Today, Nikon Inc. announced the rugged COOLPIX AW120 for those who demand as much from their camera as they do from their adventure. Waterproof (up to 59 feet, 18m), shockproof (up to 6.6 feet, 2m) and freezeproof*(1) (down to 14°F, -10°C), the AW120 can handle practically any condition above or below sea level. Equipped with GPS technology, the COOLPIX AW120 lets the user track their exploration down to the exact longitude and latitude of where an image was captured. Explorers can also stay connected when they’re “off the grid” with built-in mapping and an Electronic Compass to help navigate the unknown. Built-in Wi-FiⓇ connectivity*(2) allows the user to seamlessly transfer images or HD video of any adventure to compatible smart devices for easy sharing of quality imagery to their social networks, friends and family. The COOLPIX AW120 features a 16-megapixel CMOS sensor that helps preserve adventurous moments that are worth reliving in stunning photos and Full HD 1080/60i video. 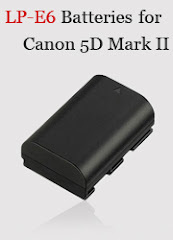 Furthermore, a wide angle 5x (24-120mm) optical zoom lens and 10x Dynamic Fine Zoom* with Hybrid Vibration Reduction (VR), a fast f/2.8 maximum aperture and about 6.9 frames per second (fps) continuous shooting ensure that photos and videos are captured in clear detail, despite the distance or tumultuous climate the explorer may be in. Knowing that operating a camera should not stop an excursion, the COOLPIX AW120 sports an intuitive graphic user interface and Nikon’s Action Control function that allows seamless operation with gloved hands. To help frame stunning photos and HD videos, the COOLPIX AW120 sports a bright 3.0-inch (7.5cm) high-resolution OLED monitor as well. Additionally, the AW120 can be mounted to a new chest harness that allows the user to securely fasten the camera around their chest, which is helpful when capturing exciting stills and videos from a unique in-the-action point of view. The COOLPIX AW120 can also be fitted with optional silicone jackets that provide a second layer of protection as well as a stylish new look. The silicone jackets will be available in several different colors including Black, Orange, Blue and Khaki. 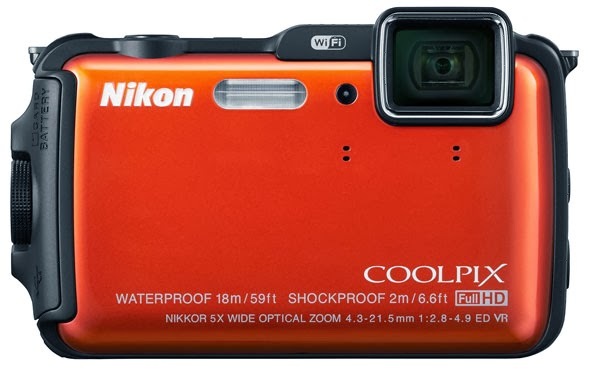 The COOLPIX AW120 will be available in March 2014 in Orange, Blue, Black and Camouflage for a suggested retail price (SRP) of $349.95**.